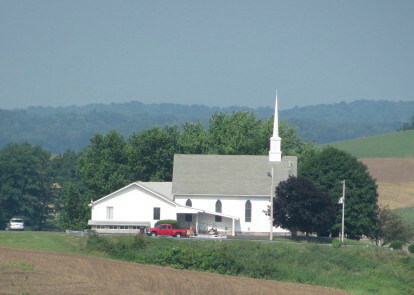 I enjoyed a great and enjoyable morning at the Franklin Union Baptist Church located near Worthington, Pennsylvania. The event was a Father’s day breakfast and, unfortunately for them, me as a speaker! The ladies of the church supplied a great breakfast buffet. Yum-Yum! I spoke and discussed how my paintings begin from early sketches to the final painting. The young people really asked me some questions following the talk. I tried to encourage them. 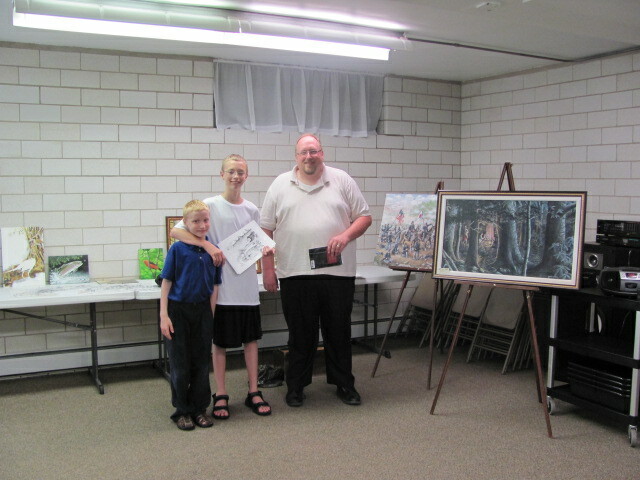 The pastor of the church is Scott Jones, a very nice young minister. I met some new individuals and had the opportunity to see some good friends. Hope they enjoyed the day! 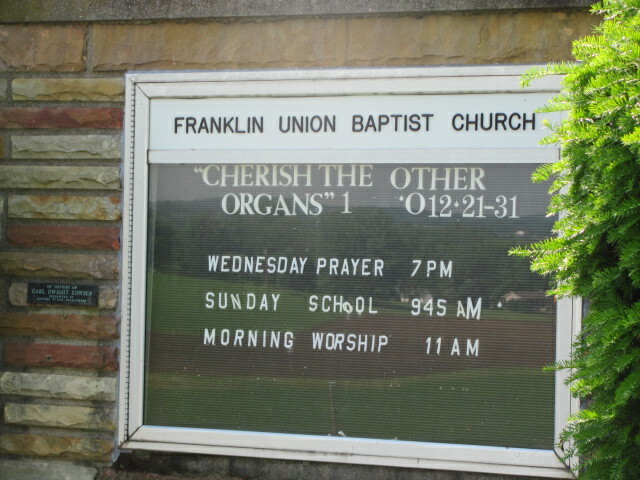 Later on a played music at the First Methodist Church in Butler, Pennsylvania. This event always is well attended. Great people and some great ministers. Reverand David Panther and Pat Nelson. From the nature side of my life, I saw a doe and her two fawns on Thursday and my first firefly of the season too.